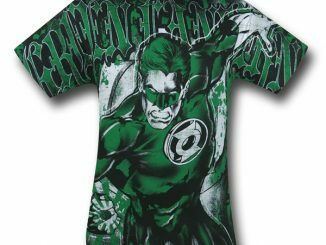 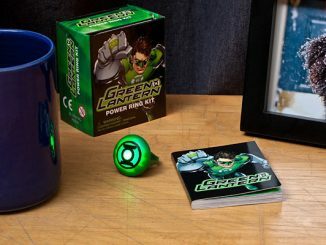 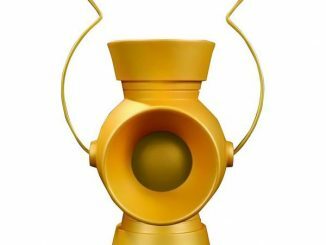 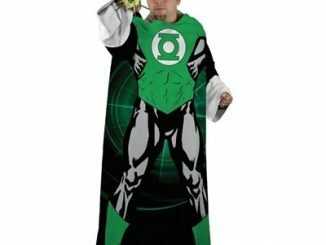 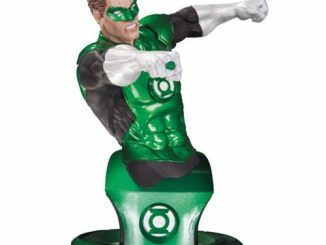 In brightest day, in blackest night, the Limited Edition Green Lantern Life-Size Bust won’t escape your sight, especially if you’re a fan of Hal Jordan. 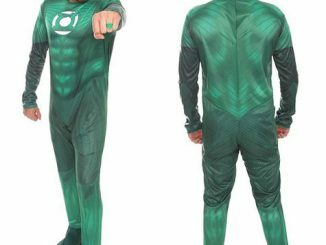 Sometimes it pays to be #2 because the first Green Lantern, Alan Scott, has never enjoyed the same level of popularity experienced by the Silver Age hero. 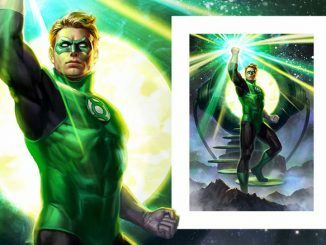 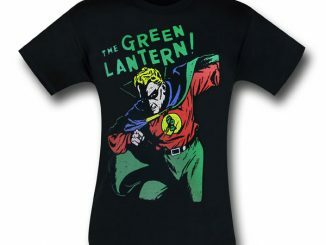 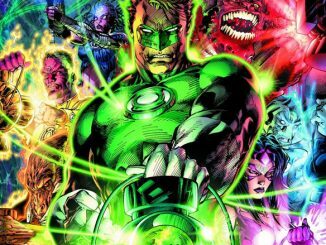 Even with other Earthlings like Guy Gardner, Kyle Ranier, and Baz offering some competition, Hal still stands out as a favorite. 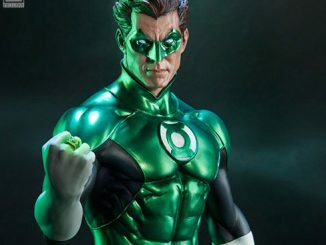 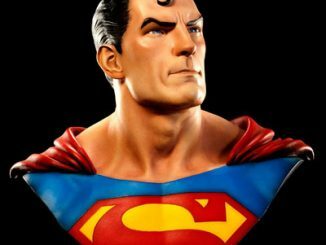 The detailed bust (complete with comic-book-accurate creepy white eyes) stands over two-feet tall and features a smile that almost becomes a smirk, which fits Hal’s sometimes cocky attitude perfectly. 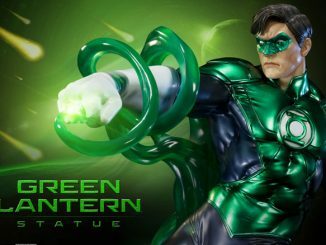 Whether you already have the busts for the Man of Steel and Gotham City’s batty vigilante or not, you’ll want to add the emerald warrior to your collection if you’re a GL fan. 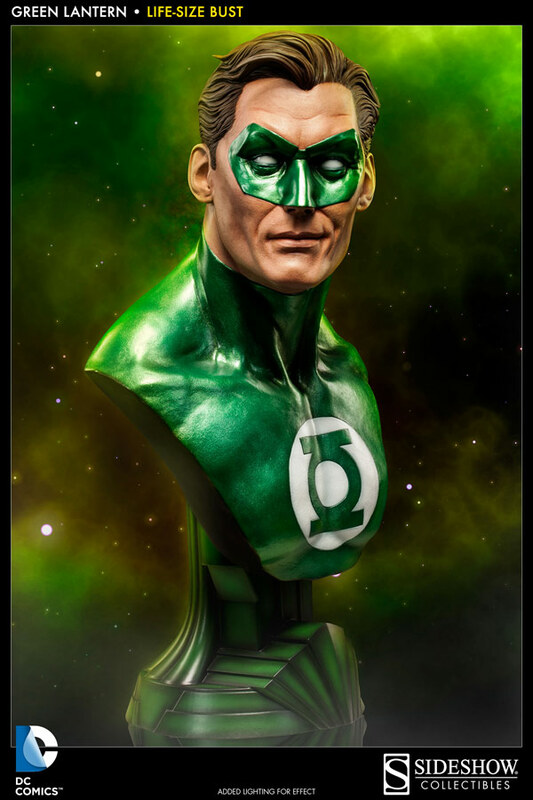 The Limited Edition Green Lantern Life-Size Bust will be available February 2014, but it can be pre-ordered now for $679.99 (or for as little as $76.50/mo) at Sideshow Collectibles.